We can’t stress enough the importance of presenting your home in the best possible way. There are so many things that can be done to encourage a positive impression. A well thought out plan will be well worth your efforts. It’s important to take stock of what you have and prioritize while taking into account your time frame, your goals and your resources. Listed below are suggestions. Simplify rooms and remove as much unnecessary furniture and items as possible. Remove collections and all clutter, all the paper and the “stuff”. Take almost everything off of the counter tops. Empty closets. Think of highlighting the features of the house rather than the features of the things in the house. Remember you plan to move. Pack it up and either get rid of it or store it. It will make your future move easier. Make sure to have all the rooms set up. If you have an office or loft you have been using to store things, get rid of the clutter and set up as a simple office or bedroom space. In the bathrooms remove all the towels except fresh hand towels and all toothbrushes and toiletries from both the sinks and the shower. Make it sparkling clean. Use fresh flowers and a decorative soap dispenser on the counter instead. Paint, paint paint! It’s one of the most inexpensive things you can do with the highest impact. Choose high appeal colors. Attend to all the little fixes. Do all the outlets have covers? Are there holes in the walls from paintings that have been moved? Are there nicks in the wall? A broken tile? You don’t want to give the impression that the home has not been maintained. Consider refinishing the wood floors and possibly removing some of the carpets. Open up the windows. Clean the glass and remove or pull up all the shades. Let the light in. Add lighting and turn it all on. Add more lighting than you think you need. Change to higher wattage bulbs. Make sure you have the same bulbs for the recessed lighting in each room. The front yard should look it’s best. It will often determine whether or not the potential buyes will go inside. Your home will be featured online. 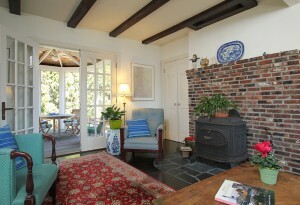 Many buyers will look at the photos and drive by and then decide whether to make an appointment. An impression will be made as soon as they get to the house and walk in the front door. Make sure it’s a good one. It will be hard to overcome an initial bad impression. Remove all evidence of pets and distractions. Some people will be disturbed by your dog barking and jumping on them when they enter the house. (Remember first impressions) And those that will welcome it because they love your dog will be distracted from looking at the house and will give their attention to the dog. Cat litter boxes can be seen as clutter and they can smell. Take them out or hide them from the showings. Do not light scented candles, use plug ins or spray any air fresheners. Although there are people that like these things, there are many that don’t and some that are allergic to them. That person may be the best buyer for your home. Avoiding these negative reactions far out way any benefits of using the candles and sprays. A clean home while being careful with the heavily scented cleansers, and fresh air should be enough. Fresh baked cookies or bread or spices simmering on the stove can fill the air with with a welcomed scent if you feel you need to add something. Make each room flow into another. Your eyes should land pleasantly in the neighboring rooms as you look through doorways. Don’t look at each room separately. If you have outdoor space a patio or deck make the rooms flow into the outdoors. Set the outdoor space up with tables and or seating areas. Use color to draw your eyes out. Umbrellas, cushions and pillows are things that can work well. Don’t depersonalize to the point where it no longer feels like a home. Don’t fill your home with knick knacks. You have just taken the time to declutter your home, don’t refill it with clutter! Consider hiring a professional – Take care in the interviewing and hiring and ask to see some of their work. Like real estate agents they are not all alike! We can help you decide whether to take this route and what areas of focus should be taken. Staging is different than decorating and selling is different than living in a home. We can assist you with some personal staging tips and give you our thoughts on how to start the process. We can make recommendations on the extent to which we think you should put your efforts and help you prioritize. Even if you are great at arranging & designing living space, having someone that has extensive home sales experience and doesn’t live in the home is a benefit. We will have a different perspective. You can then put your efforts in the right places. Every home is different and needs to be prepared for a sale in a different way. Contact John & Cindy Farrell to help you early in the process. 978-468-9576. HGTV – Has a lot of information and ideas.